Hello amazing Friends, and Happy Mother’s day to my fellow Moms out there! Surprise…I’m coming to you on the weekend to share a super fun and exciting GIVEAWAY!! Back in January, some of my crafty friends and I got together to give away craft supplies from our own hoards of craft supplies. Ya’ll loved it so much that we decided to do it again! What better way to clean out our stashes than to give the extra supplies to you? There are all kinds of fun things in this box to spark your creativity! UPDATE: See what I did with this drawer HERE now. I may have taken the saw to it. How exciting. 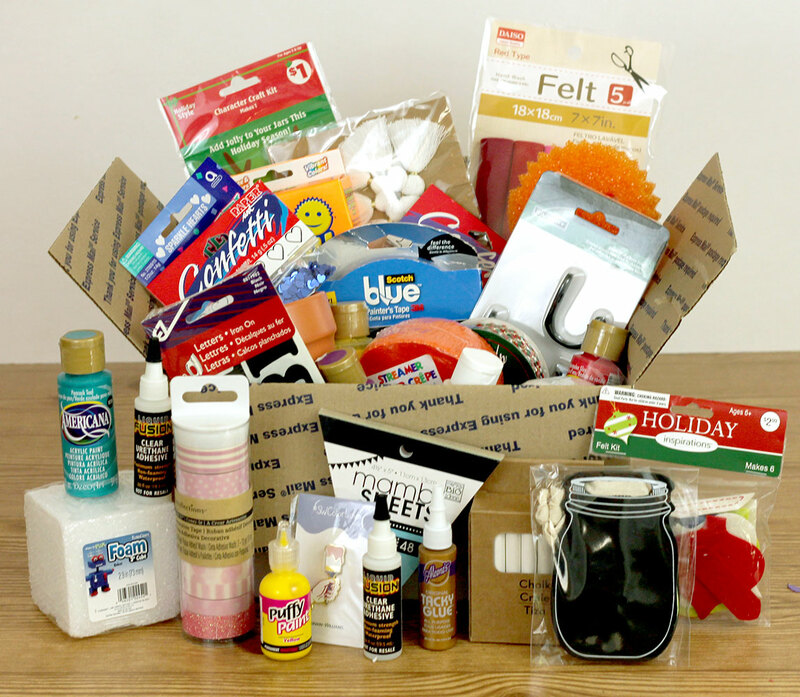 Would love to win one of these craft giveaway boxes. Would be like Christmas in May. Thanks For the chance to win Your boz of goodies!! Happy Mother’s Day Christy! Thank you for the giveaway! Thanks for the opportunity to win neat stuff! Oh my goodness, I hope I win! I need more craft Supplies! I know there won’t be any junk in that box, there is always some use for discarded pieces, you do amazing things with “junk” all the time. I LOVE IT! Thanks for the chance to win! Thanks for the chance at another awesome giveaway! Thanks for sponsoring a fun giveaway! You always have nice ideas and photos on your blog and I enjoy visiting it. Blessings to you! Thanks for sharing your “junk”~would love to win! What a fantastic give away. Thanks so much for your generosity and a chance to win. I would love to win your box of goodies! I love your blog ideas and I’m hoping to create some of my own trash to treasures this summer. Thanks for sponsoring this giveaway! And Happy Mother’s Day! I need a Junk Giveaway! No doubt! Please! Thank you! Happy Mother’s Day and good luck to all ! Thank you for this giveaway. Can’t wait to see what you did with that drawer! Nice to see you on a weekend! Happy Mothers Day! Looking forward to what you’ve done with that drawer!! The giveaway looks fanstastic as well! Happy Mother’s Day! Love your creativity! So glad y’all keep doing this! You’re welcome, Cindy! Good luck! Thanks for a chance to win some really neat “stuff,” Christy! I love all of your makeovers & can’t believe how talented you are! Hope you have a great Mother’s Day! Love these crafty giveaways ! Thank all you Ladies for participating! Love your stuff! Hope I win!!! 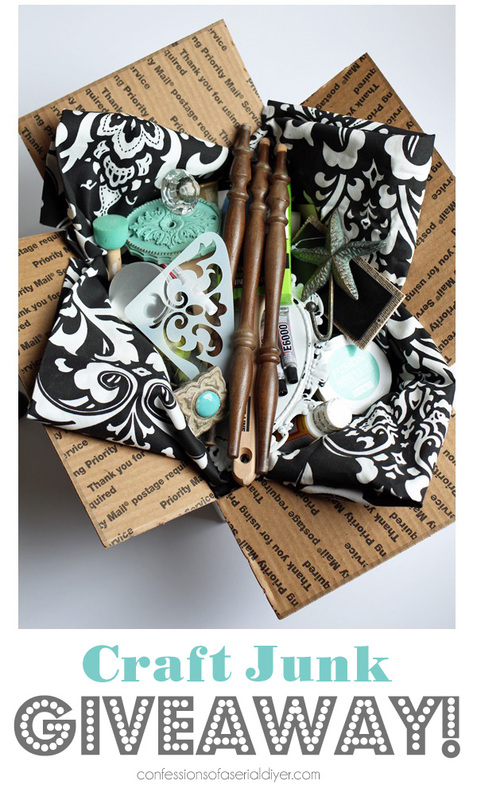 How exciting it would be to have a box of crafty stuff! I think it would spark my creativity!! Thanks, Denice! Lot’s of fun stuff in there…good luck!! Hope that helps with the giveaway! Happy Mothers Day! Thank you for the awesome giveaway! What an awesome idea. I tend to look for the same things all the time in my crafting journeys and this would get me “out of my box”! I love that stash, especially the spindles. How fun! And on Mothers day! Christy, I hope you havd a fantastic day today! Love it!! Giveaways are so much fun! Would be a great surprise to win…. fingers crossed! So fun! Happy Mother’s Day!! Ha ha lots of luck to you, Moonalisa!! Happy Mother’s Day to all the Mothers out there !!! Great give-away !!! Would love to win !!! When I recently moved, I had to leave many of my craft supplies behind. It would be wonderful to win your May Box of goodies to get my creative juices flowing again…. Ooh! This would be fun to get my hands on. I am always recreating things in my head, and will often walk through a hardware or thrift store and brainstorm new uses for common items. What a great giveaway! Thanks for the opportunity to win! I love it when you all team up for these giveaways, so much fun! I love getting fun things in the mail! Happy Mothers Day and thank you! You always inspire me ! So much really helpful information, too. Wow! Love those items in all the boxes. How great would that be, to win one. Thanks for the opportunity! Have been loving your insight for a long time. 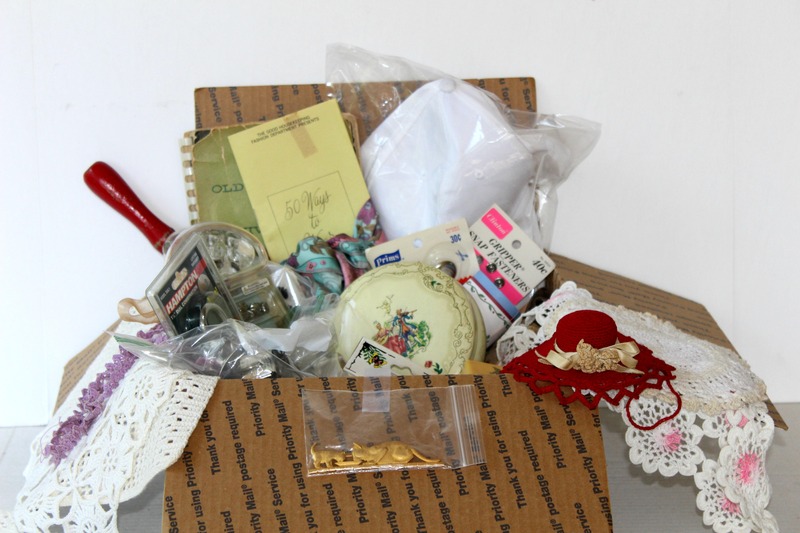 What a delight it would be to have the goodies from your craft extras! They would spark more creativity. Cristy, I hope you also secretly packed in about 1/2 cup of your creative genius or at least a pinch or two of inspired sawdust! Thanks for this generous giveaway! I would LOVE to win one of these great boxes. The wheels are already turning! Thanks for the giveaway! This would be for my grandma. Your craft junk is my craft treasure! There is always something in someone else’s craft drawers that needs to be put to use in my craft room. I should put a craft junk box together too, to give to someone! Absolutely! Sometimes it’s fun to be inspired by what other people have in their stashes! Good luck on the giveaway! Ha ha! Good luck, Cindy! These are great!! Thank you!!! hi I want to thank you for your blog…its the best of all I look at…the best redos in the world…thanks again…for all your work and I love everyone of your projects..i save them all…. Pick me ! I love this stuff! Thank you for this great giveaway! Since I retired and am on a tight budget, I’m always on the lookout for deals. 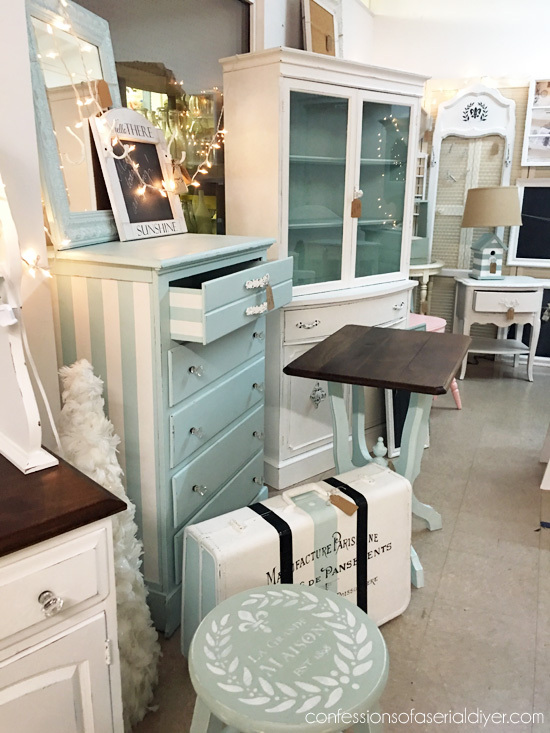 Scouring the clearance section at craft stores and consignment shops are a favorite pastime. Now, if I could just stop giving away everything I make! I would love to win a box of goodies! Happy Mother’s Day everyone! The box looks amazing! Look at all the pretties! I would love to win! Thanks so much for the chance to win some great stuff!! Have a wonderful Mother’s Day!! This craft box looks perfect right now! I need paints and I have a new curb-side found stool that needs to be reupholstered, if that is material in the box! Lovely! I am also subscribing, ’cause I GOTTA see what you do with that drawer! Thank you! and Happy Mother’s Day! What fun and what a delight it would be to delve in to that! Thanks for a chance to win! Your projects are always outstanding. I just nee more time……. I love free goodies! Yesterday I walked by a box of old vases etc that I planned to give away and realized I could “remake” a footed candy dish. I pulled it out and cleaned it up. It had been outside for awhile and that definitely didn’t help the already icky “patina: The old finish was so bad I hadn’t noticed the pretty design on the pedestal and finial. Adding silver gilding wax made a huge difference. I saved a family “heirloom”! Thank you SOOO much for this chance!!! I would love a chance to win!!! Thanks for the opportunity to be part of this giveaway, LOVE your Blog! 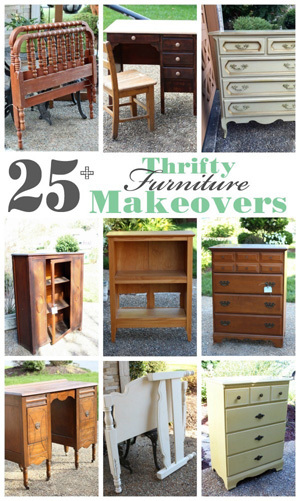 I love all of your makeovers that you do and you’ve inspired me to start my own business out of renovating furniture. You do amazing work! I love all the projects you do.. You’re such an inspiration!! Thanks for the opportunity to win some amazing goodies! I would love your box of goodies! Love your blog and have been following for a long time! Happy Mother’s Day!! Thank you for the giveaway Christy! Happy Mother’s Day! Oh what fun, a goodie box! Thank you for the opportunity to enter! Excited for this giveaway! 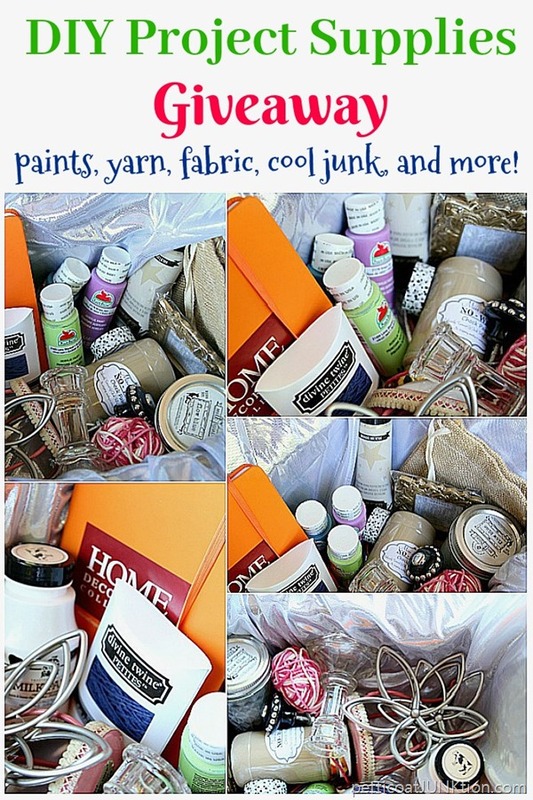 And I love all your trash to treasure makeovers! Very inspiring! This is such a wonderful giveaway. Thank you for sponsoring and Happy Mothers Day. Just love these fun craft giveaways. So many wonderful products in the box. Yes lots of goodies in there! Best of luck to you, Mary! Thanks for giving away such awesome stuff! Great giveaway, looks like it would surely spark some creativity. My craft room is pretty busy all the time, but I’m pretty sure I could do something fun with your generous give away! Happy Mothers Day! Thanks for a great giveaway would love to win! Love these crafty giveaways. Thanks for the chance to win! Wow! Lots of traffic for a holiday! Thanks for the give away, Christy! Hope you had a grand Mother’s Day! Love anything crafty. Hope your package finds its way to my house. Love all of your ideas! Thanks for a great giveaway! Thank you for the chance to win. I am a craft junk lover, I love making over different thrift store finds and I love making what I have on hand work for me. I love the items shown. You inspired me to begin painting furniture, and it has been so fun! I am building an inventory, so that when I retire next March I will have enough to open a store in our local shop. Thanks for all the inspiration and great ideas! Love your blog, would love to win, thanks for the opportunity! I love your blog and have learned so much! Thanks. Christy, for an entry in this great craft giveaway… I’ve always wanted to ask…is that you or your beautiful twin sister on the SunIn Hair Lightener bottle?! Thanx! WOW Christy what a great give-a-way! Thanks so much for that! 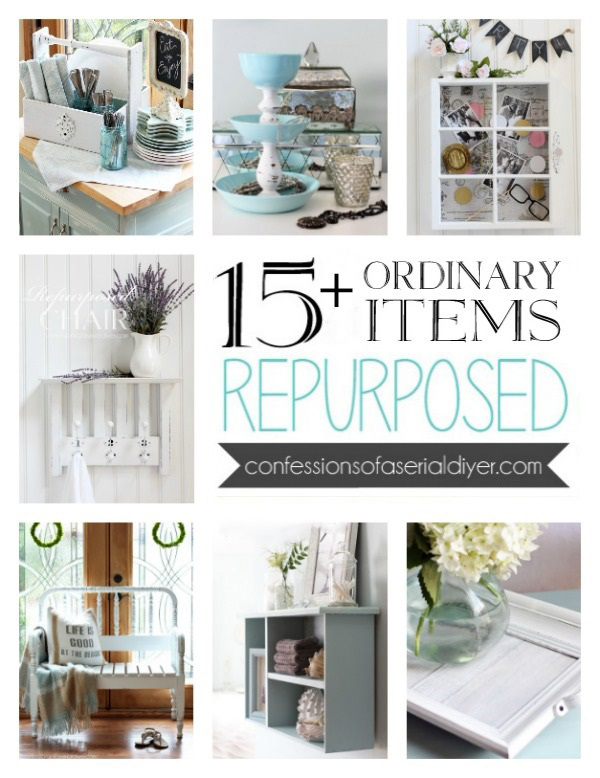 Love seeing all of the re-creations from “saved” items! It is inspiring! This is great!! Thanks for sponsoring this giveaway! I always love seeing what you are able to do. 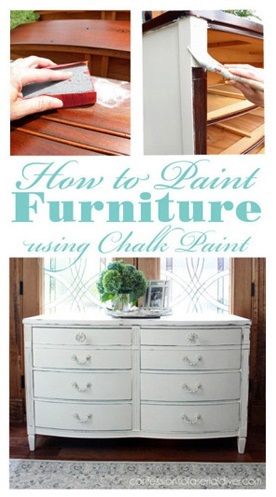 It gives my non crafter self inspiration to try. Thanks!! Oh boy! I love craft junk! : ) Thanks! Oh how fun! I would love to win – my daughter and I would have a lot of fun with these! Your colors are always perfect for my Oceanside home. Great give-a-away!!! Thanks for being so generous. You always give away the best goodies, hoping one of these times to win one!!! Have a Great week Ladies!!! Thanks for the chance to win such an amazing box of goodies. I could craft for hours using these supplies! I hope you had a fantastic Mother’s Day! Thank you for another opportunity to enter your ‘goody box’ giveaway, it looks like another box full of great things! I love these type of giveaways! I keep hoping I’ll win one! Thanks! I look forward to your emails to see what new projects your are working on. 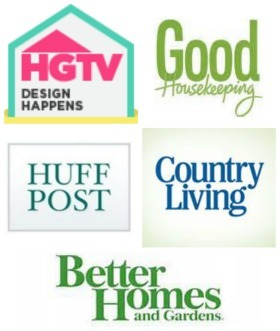 I share them often with my family and am always talking about ” this site i follow, Confessions of a Serial DIY” . We do get great ideas from you , but i wish you were closer so i could purchase from your shop. Thank you for the inspiration! I would love to win this Happy Mail box. Fingers crossed! I love this idea and hope I win! What a fun giveaway. Thanks!!!!!! Thank you so much Christy for such a great giveaway! Best of luck to everyone! I love every project you do and I’ve learned a lot from your blog. Please keep them coming. WOW … thanks so much for putting together this incredible giveaway … you are such an inspiration and I love your style! Hope you had a glorious Mother’s Day! I really enjoy following your blog and I would winning any of the boxes of goodies. Thanks for the chance to enter. nice to receive surprises! Thanks for the sweepstakes! Thanks for the chance to win your box of goodies. Love what you do with junk! I love receiving your newsletters and seeing the amazing “works of art” which you’ve done to forgotten pieces that people have thrown away. Thank you for offering this giveaway. Now to just win! Would be great to win ,,so thanks for the chance from all of the bloggers. What wonderful fun!! Looks like tons of goodies in there! Oh, what fun! Thank you for this great giveaway! I love the drawer project! What a nice addition for a table top inside or out! You have a great imagination and follow through! Also..I would love to win the give away. Thanks for the sweet giveaway!! We’re purchasing a new-to-us house and can’t wait to start on some projects. Awesome giveaway! I would love to win. And love the upcycled drawer – your ideas are always so do-able!!! This would be a wonderful first thing I ever won prize. Love your ideas and look forward to Thursday project! So much fun in a box! I really need to get craftin’ on my time off from work – keeps me sane. thanks for a great giveaway! I would love to win one of these great boxes, thank you for the chance. I just love your website!!! I love reading all about your projects. It is very inspiring and your box of goodies would be an awesome win. Thanks for another fun giveaway! And I love reading about all of your ideas to repurpose found objects!! Can I just tell you how much I LOVE this giveaway?!!! I am the one who goes to auctions and bids on the sealed boxes. The excitement of getting a bunch of “stuff” is the best. I hope this comes with a creative consultation with you. Your stuff is awesome and inspiring. Thanks for all that you do and share! Oh my! what a great gift to win, lots of goodies in them. 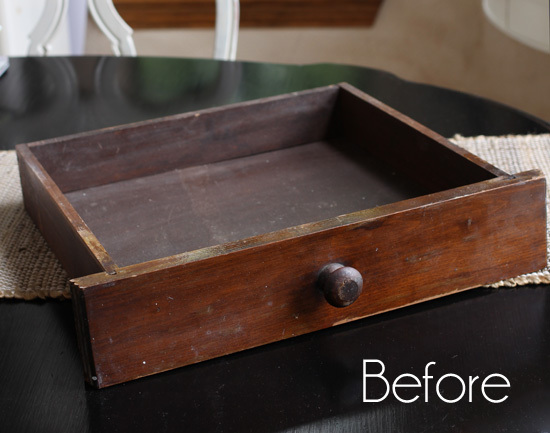 Loved what you did with the drawer! Thanks for all the great ideas and DIY projects you post. Looks like a fun giveaway too!! Such fun items in your giveaway! I found you through the link from Kim Six’s site. Just followed you on FB and Pinterest! I love giveaways and love the one you are giving away. Great Blog! I love what you did with the little drawer. Can you tell me where you got the little decorative thing behind the knob? It looks like it might be metal? What a fun giveaway!!! Thank you! I have been following you for so long! The best creative blog!!! Thanks so much for offering this great prize! Your projects are so inspiring and fun!! Keep it up!! So much talent you have Christy. Always look forward to your projects and email. I look forward to the giveaway. Great job on the Yard sale. I need to have one big time! LOL Your info will help me organize mine. HOW fun! I would love to get this. I need to get to making more wreaths and projects! Just found your blog & I love it. I’m on bed rest for several weeks after surgery & I’ve started a list of things I want to try when I’m up. My husband has threatened to cancel our wifi. LOL. I very much like your style and taste, Christy, and have signed up to receive your blog posts. I want to start crafting with my granddaughters. I could use this. This giveaway box makes me all kinds of excited!! HI CHRISTY!! I HAVE MISSED YOUR DAILY BLOG SO MUCH…IT STOPPED COMING TO MY MAILBOX DAILY! SO, I MUST RESUBSCRIBE TODAY, NOW!! BTW, LOVE, LOVE YOUR GIVEAWAF STASH!!! I HAVE BEEN SO INSPIRED BY YOU IN SO MANY WAYS AND DAYS!!!! THANKS FOR OFFERING A CHANCE TO WIN THESE PRETTY ITEMS!! Beautiful give away. Would love to win any one of these. Thanks so much for the chance! I really love your projects and how you re purpose furniture. Thank you for a chance to win the craft box it’s really great.